I was lucky enough to go on a business trip to Denver last week. I stayed with my Mom and got to visit a bit with her and her friends. I also got to see my sister LaDonna and brother Jim and their families in Denver and my brother Rob and his family in Colorado Springs. On the way to Rob’s, I stopped by the Garden of the Gods for a couple of hours. (Note: you can click on any of these photos for a larger version). 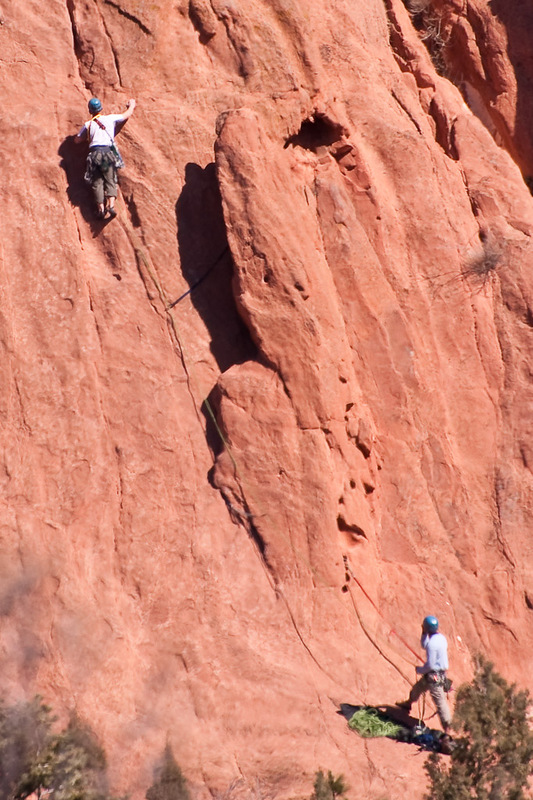 The Garden of the Gods park is run by the city of Colorado Springs and is about an hour south of Denver. You take I-25 south and exit right onto Garden of the Gods road. I hadn’t been there before. The rock formations are spectacular and unlike anything we see in Florida. If you go, early morning probably has the best light. I wasn’t able to arrive until around 10 am and by then the lighting was pretty harsh. I wish I had been there earlier or that there had been some nice clouds in the sky to work with, but you take what you get and I was happy to be able to see it. 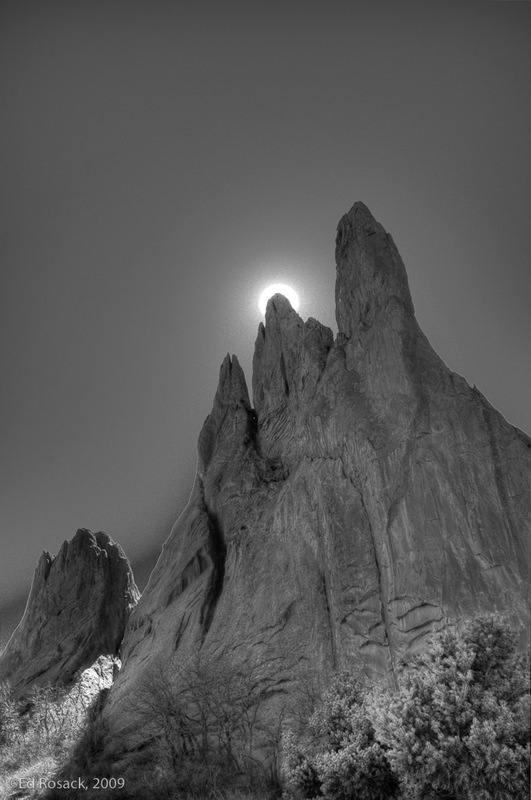 I did some bracketed exposures to work with in HDR and converted some photos to black and white. I like the way they turned out. Rock climbing is allowed and I made a few photos of a couple of climbers. 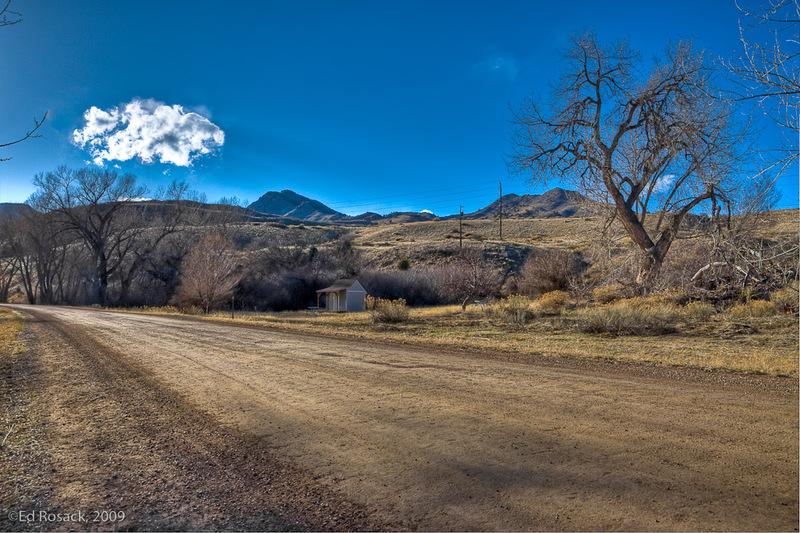 While in Denver, I also took a walk through Waterton Canyon and made a few photos. And one night, my nephew Jared and I made this panorama of the night-time skyline visible from my Mom’s place.